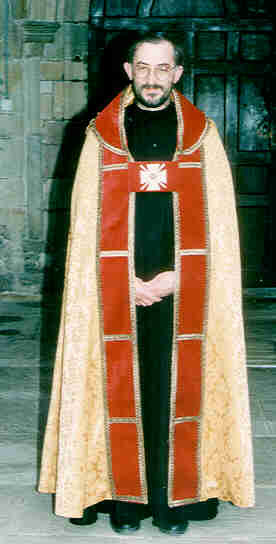 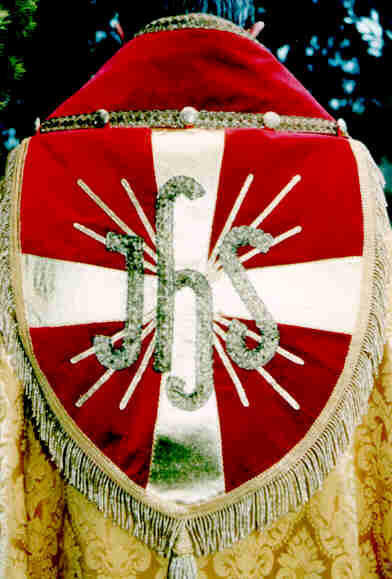 This individually made, fully lined cope is trimmed with red silk orphreys. 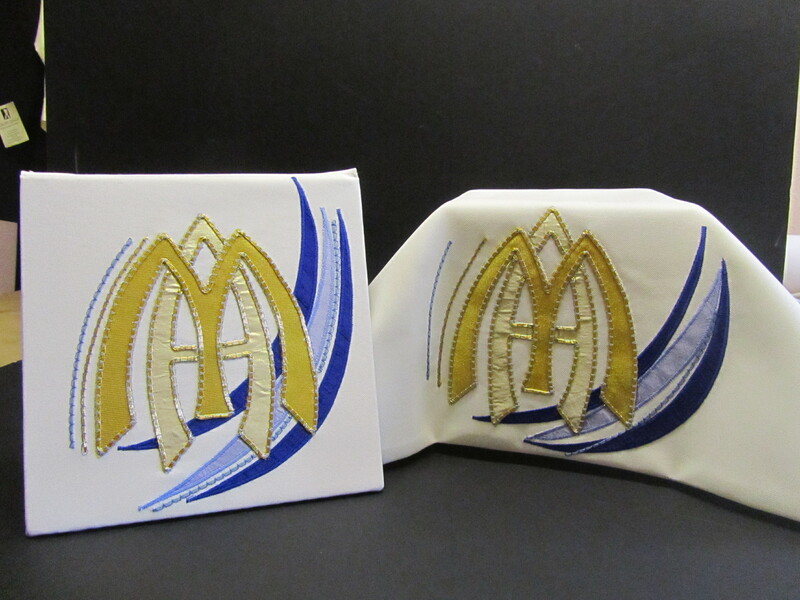 The matching shield is embroidered with a large evensided cross and I H S in metallic gold threads and applique. 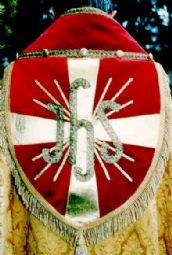 The morse closing on the front of the cope features an embroidered I H S symbol. 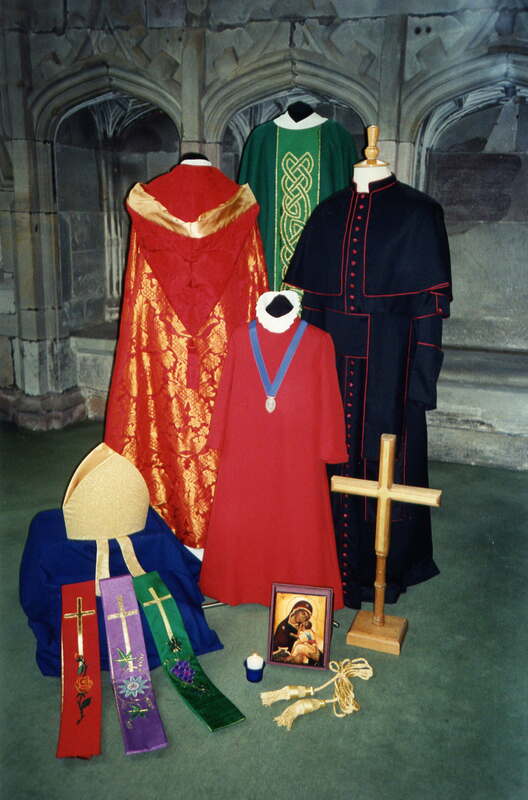 This cope is also available in other colour combinations, or for international postage rates contact us for further details.